Work on Craig Bartlett’s new Hey Arnold! movie has been proceeding pretty smoothly since its announcement earlier this year. (Give or take a few hastily denied rumors, anyway.) 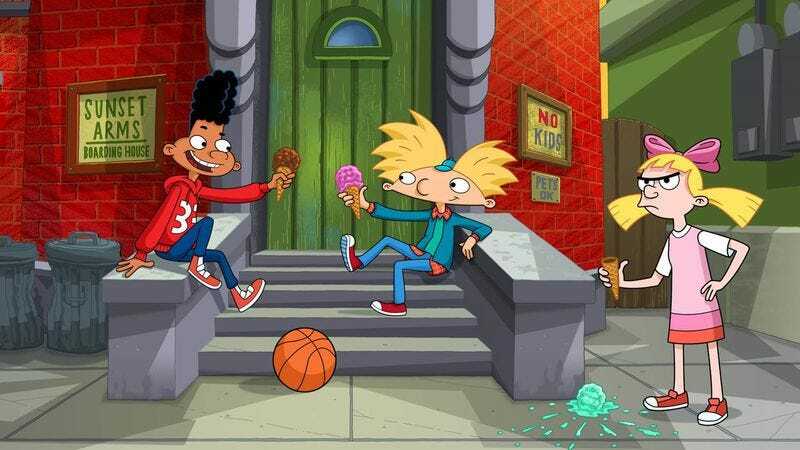 Today, Hey Arnold! : The Jungle Movie got top billing at Nickelodeon’s Comic-Con panel, with Bartlett showing off the first glimpses of Arnold, Gerald and Helga in more than a decade.